Explorer Adventurer presents marvelous short and beautiful adventure Pike Hill Trek, a wonderful walk on the hidden areas of southern areas of Mt. Everest within cultural villages of Solu districts of Mid East Nepal. Pike Hill Trek a fascinating walking journey of less than a week duration suitable for all age groups and travelers as well to trekkers who are bored with mainstream popular trekking areas of Nepal, as Pike Hill Trek takes you virgin country filled with immense culture and custom within mixed villagers of Rai, Sherpa, Tamang, Magar with some Newar tribe. An interesting journey and perfect holiday to witness Nepal mid hills cultural and traditional life around rural farm village of both Hindu and Buddhist religions, an exciting walks with nice villages and then entering into mist filled forest of tall rhododendron, oaks, magnolia, pines and oak tree lines. As walk progress heading above high ridges and hills to reach at scenic spot at Pike Hill top above 4,067 m high with mind-blowing panorama of Himalayan peaks that stretches from Langtang, Jugal Himal with Gaurishanker, Melung-tse and extends towards Numbur with Mt. 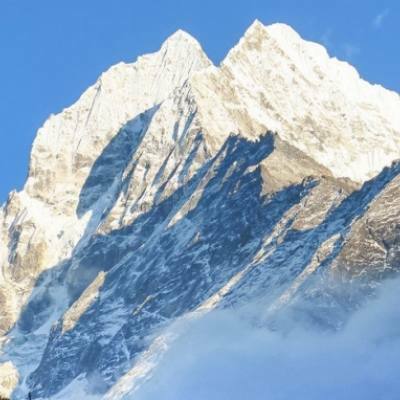 Everest includes arrays of high Khumbu Himal range. After a great scenery and panorama of high Himalayan peaks heading back to road-head taking an elusive hidden trails to Bhandar near Jiri town where famous classic Jiri to Everest base camp route joins. From Bhandar heading back to Kathmandu with scenic and exciting overland journey to reach into hustle and bustle city life of Kathmandu after a great experience on Pike Hill Trek. 1 Day 1: Arrival in Kathmandu and transfer to hotels.On reaching Kathmandu Tribhuwan International Airport where you will be warmly received by our guide and staff and then transfer you to your respective hotels in the hub of Kathmandu city. First check into your hotel rooms on getting refreshed from the flight and with Jet-Lag, then join with other members of Pike Hill Trek for group briefing, where our expert guides will inform regarding your stay in Nepal, hotels, trekking, local lodge and overland drives with do’s and don’ts information, evening welcome group dinner in authentic Nepalese restaurants with Folk cultural programs to entertain you during your meals. 2 Day 2: Drive to Salleri town 1,800 m with overnights - 07 hrs journeys.Morning depart from the hotel for exciting long overland journey towards east of Nepal and Kathmandu with drive to reach the starting point of the trek from Salleri as ride leads on ups and downhill past rural farm villages and town to reach at Solu distirct town of Salleri. An interesting overland journey on bumpy and winding rough dirt road to reach at large town and village of Salleri of mixed tribe of people mostly Sherpa, Tamang, Magar and Rais with some Hindu Brahmins and Chettries people and for overnight stop in this lovely large village or a moderate size town after a long interesting drive of more than six hours . 3 Day 3: Trek to Pike Hill base camp 3,680 m - 06 hrs.Starting our first day walk contouring along a ridge line to reach at Loding and Lhamuje a small grazing place with a shade with summer pasture fields for cattle and Yaks, within beautiful surrounding of tall rhododendron-birch and pine trees. Walk continues to a climb on Toriphale Danda (ridge) and coming to a small hut where the local produces cheese and butter. After a good rest heading much higher into forest to reach our overnight camp at Pike Hill base camp for overnight stop. 4 Day 4: Hike to Pike Hill 4,067m with Everest panorama and to Ngaur Gumba -06 hrs.Morning starting earlier with packed lunch heading away from the main trail towards off the beaten trails into dense forest of rhododendron-pines-oaks-birch and fir trees as the walk leads past several grazing pasture areas with a climb and with short downhill for a while. After few rest stops our walk leads uphill into tree lines to reach on top of Pike Hill top at 4,067 m high, the highest spot of our journey offering super wide angle views of snowcapped peaks of Gaurishanker-Melung Tse-Numbur-Cho-Oyu including Everest and Lhotse with other peaks of high Khumbu and Everest region. Certainly a perfect panorama in the harmony of pristine surrounding then head back to another place at Ngaur Gumba for overnight stop after a lovely scenic and exciting morning walk to Pikey Hill top. 5 Day 5: Trek to Bhandar 2,190 m via Goli 1,760m - 07 hrs.Starting early morning as the walk today will be the longest of 6 to 7 hours to reach at Bhandar beyond Goli village, morning walk leads to a descend entering into more farm areas and villages to reach a large Goli village with possible lunch stop, as per the time of arrival in this nice farm village. After a pleasant stop at Goli continue walk with uphill climb past patch of forest and farm fields and then finally ending the long walk at Bhandar for overnight stop. Bhandar located on famous classic route of Jiri to Everest Base Camp where you can notice in change of houses and nice lodge for trekkers to stay. 6 Day 6: Trek to Shivalaya 1,790 m - 05 hrs.From Bhandar to Shivalaya walk leads on well define trails as this route well trekked areas, morning walk follows through Bhandar also known as Chyangma located around Ramechap district of mixed tribe Tamang-Hindu Chettris-Magar and dominantly Sherpa. After the village a steep climb for few hours to reach at Deurali and then downhill into nice cool alpine forest to reach top of Shivalaya valley, and then a short descend brings you at Shivalaya village for overnight stop in the comfort of a nice lodge. 7 Day 7: Drive back to Kathmandu via Jiri 1,995 m - 07 hrs.Morning our trek ends at Shivalaya taking a drive over a river coming Rolwaling Himal, and then with climb walking past farm fields and terraces with scattered farm houses to reach on top of a ridge festooned with Buddhist prayer flags and monuments with grand views of landscapes and mountains. From the top few hours of good downhill ride brings you at famous Jiri town, also known as Switzerland of Nepal, from here a long and scenic drive with ups and down past Tama Kosi (River) and hen up to nice town of Charikot and then on winding road with grand views of Gaurishanker and Jugal Himal range of peaks. Drive descends towards Bhote Kosi River on Kathmandu –Lhasa Friendship Highway at Khalechaur, as the journey continues with uphill to Dhulikhel a wonderful scenic spot and then on good road reaching back in the hustle-bustle city life of Kathmandu with wonderful times on the mid hills and remote areas of Nepal Himalaya. 8 Day 8: Depart for international flight home ward bound or to respective countries.Your last memorable day in Nepal after a wonderful experience on Pike Hill Trek with great service of Explorer Adventure, and as per your international flight then transfer to Kathmandu international airport for homeward bound or to your respective destinations. Three night hotel in Kathmandu on twin sharing basis in standard hotels on bed and breakfast basis. Half Day sightseeing tour in Kathmandu as per the itinerary. Nepal entry visa personal travel and medical insurances. Expenses of personal nature and meals in Kathmandu as well gratitude (tips). Emergency evacuation by any means of transport including Helicopter and personal medical kit. Our itineraries of any trips are based on our leading experience in the Himalayas. But, we also organize the trips according to your special requests or your personally given itinerary. Please, feel free to contact us for your questions and queries. Trip Mode: Hotels-Home Stay / Lodge or camping on treks. Activities: Exciting drive with scenic and cultural trekking. Maximum Altitude: 4,067 m on top Pike Hill. Average Walks: 05 to 06 hrs.